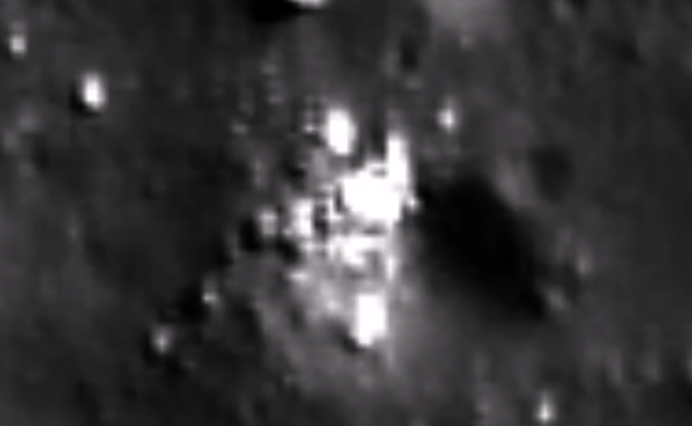 UFO SIGHTINGS DAILY: Alien City Found On Earths Moon In NASA Photos, Video, UFO Sighting News. Alien City Found On Earths Moon In NASA Photos, Video, UFO Sighting News. In this photo of the lunar surface, Streetcap1 of Youtube has found more white ceramic structures proving beyond a shadow of a doubt that aliens exist. Even a computer AI would come to the conclusion that this structure before us now is a structure created by intelligent beings. It may be a few years before such an AI is publicly owned, but it will one day become a tool of the UFO researcher.